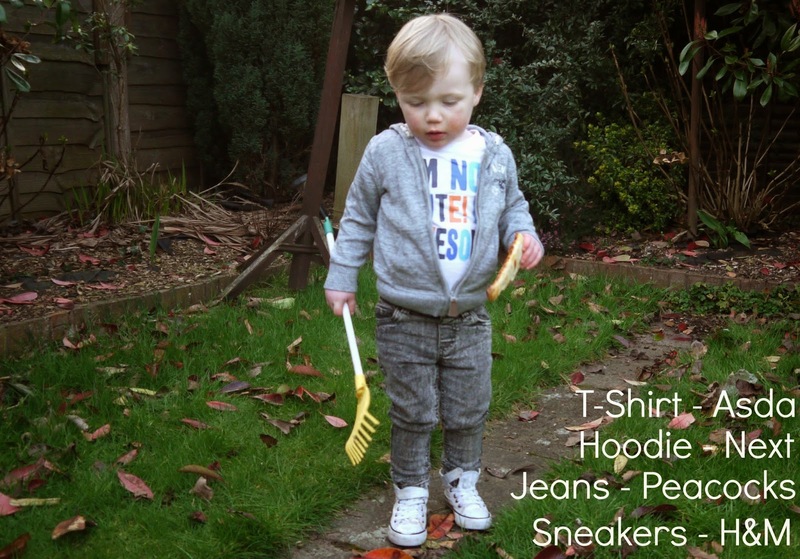 Hello lovelies, it's been a while since Oscar did a little outfit post so as we were in the garden the other day and the weather was nice, we had just got back from the park and shouting PIZZA as we walked past Greggs I thought what a perfect opportunity to snap some pictures of him. These are his favourite boots he calls them, I usually let him pick between a few options of clothes and say get your shoes and see what he ends up getting out of the big green box, it's always a pleasant surprise. My nan actually bought this shirt for him from a shopping trip she had been on, she said it was really cheap, cheap and cheerful is always good for park/garden days. I love this Next hoodie it practically goes with any outfit, washes lovely and just looks really comfy and the jeans although they look very tight to him they are actually quite stretchy and he can run around in them pretty well. As you can see he is a multi tasker, not like any man I know... Raking the leaves up AND eating pizza? I couldn't not add the surprised face look on the slide either it makes me laugh every time I look at it aha. 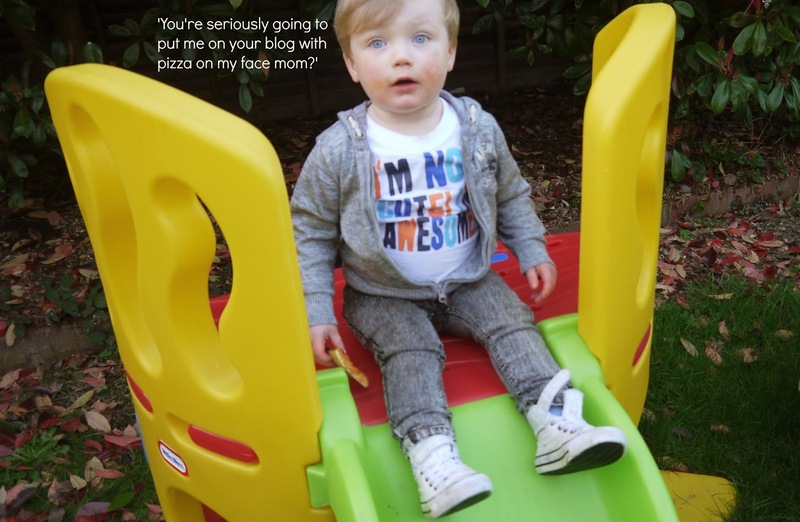 Hopefully next time I decide to take another ootd though he won't have pizza smeared all over his face and I'll plan it a little more in advance, but if you have a toddler you know they never look perfect right? He has also had his mop cut since, thank the lord. 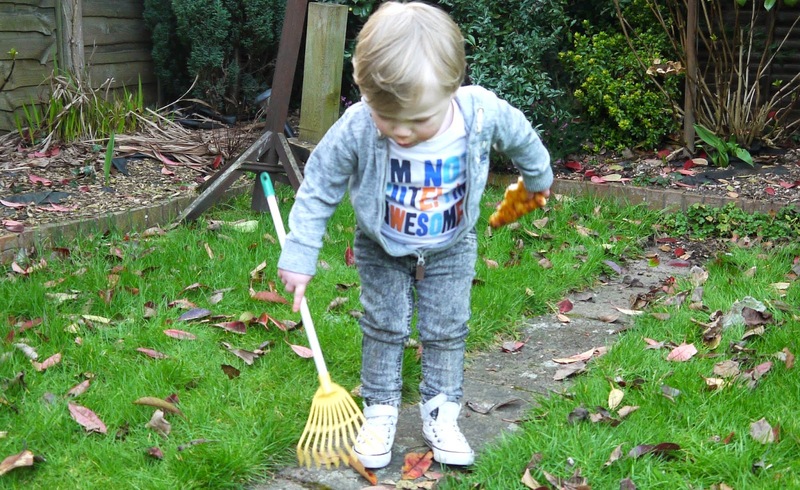 What do you think to Oscar's grey ootd?